Facing grim re-election chances in Nebraska next year, Democratic Sen. Ben Nelson announced Tuesday he will retire at the end of his term. 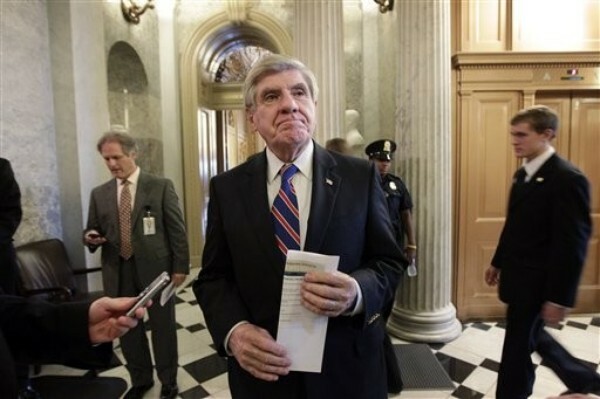 The decision will likely increase chances for a Republican pickup in 2012. "Simply put: It is time to move on," Nelson said in a video sent to his supporters. "There is much more that needs to be done to keep America strong. And while I relish the opportunity to undertake the work that lies ahead, I also feel it’s time for me to step away from elective office, spend more time with my family, and look for new ways to serve our state and nation." Republicans have been laser-focused on Nelson's seat in red Nebraska as one of the four pickups needed to win the majority in the upper chamber. Attorney General Jon Brunning is currently leading the Republican field, which includes state Sen. Deb Fischer and state Treasurer Don Stenberg. Tea Party groups have split between Brunning and Stenberg. In addition to Nebraska, the National Republican Senatorial Committee has also put Democratic seats in Missouri and Montana in the GOP line of fire. Republican groups have poured money into this race. Crossroads GPS ran ads in the state slamming the incumbent on his support for health care reform and accusing him of selling out to President Obama. The group also made a half-million-dollar ad buy in the Cornhusker State to run more ads against Nelson over the coming months, National Journal reported earlier this month. The Democratic Senatorial Campaign Committee has also taken to the airwaves with positive spots on behalf of Nelson, intended to nudge him toward a re-election bid. Nelson, a moderate, had said he would make an official decision about his plans after the Christmas holiday. Earlier this month, the senator's camp released internal polling that found him with positive favorability ratings and leading his GOP challengers -- a sign that he was inclined to seek a third term. DSCC Chairwoman Patty Murray called Nelson a "loyal public servent" and expressed confidence in keeping the majority despite his exit. "Republicans will continue to have their hands full with a very divisive primary in the state, which will provide an opportunity for Democrats to remain competitive," Murray said in a statement. "We remain confident that we will hold the majority next year because incumbents have built strong campaign organizations in their states and we've recruited great candidates who are generating enthusiasm around the country." Democrats do not have any candidates lined up yet to seek Nelson's seat, though Bob Kerrey, a former Nebraska governor who also served in the Senate, has been talked about as someone who could put up a strong fight. Though Nelson's retirement is bad news for his party, which faces an uphill battle to preserve its slim majority in the Senate, there is a bit of a silver lining: Nelson has about $3 million in his campaign coffers, which he can transfer to the DSCC or to the state party to help whoever emerges as the nominee.